In typical Miami fashion, there will be plenty of fun events and festivities to enjoy this Thursday on Halloween. The Zeder Team is happy to provide you with a diverse selection of options to choose from. For family-oriented fun, visit the Scott Rakow Youth Center in Miami Beach between 6:00 pm and 8:30 pm. Kids can come in costume and enjoy a wide range of activities, include Treats for Tot, ice skating, carnival rides, and delicious concessions. 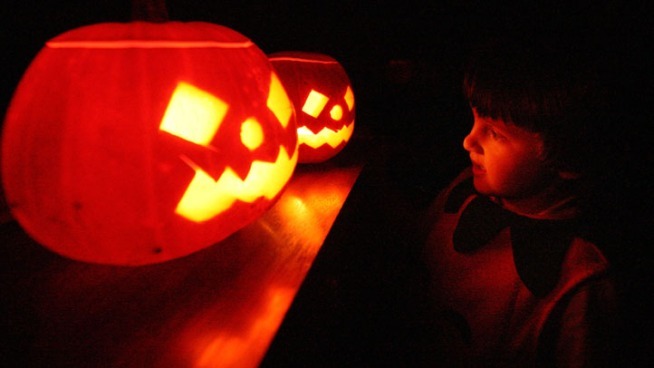 Another kid-friendly event is the Halloween Celebration at the Mall of Americas, located on 7795 W. Flagler. From 4:00 pm to 9:00pm, children ages 10 and under can enjoy a Kids Club lead by bilingual witch Gigi, which will include music, prizes, and contests. Trick-or-treat begins at 6:00 pm, with children encouraged to wear mask-less costumes. Later that night, adults can enjoy the “My Creepy House Halloween” at Mekka Miami nightclub, located on 950 NE 2nd Ave. Doors open at 11:00 pm until the early morning for a horror-themed party that includes contemporary dark music beats. For another 21-and-over event, visit Blackbird Ordinary on 729 SW 1st Ave between 10:00 pm Thursday and 5:00 am Friday for live music by Suenalo and DJs Contra and Sharpsound. There will be cocktails, dancing under the night sky, and an intergalactic-themed photo booth. Put on your best costume for your chance to win $100. Finally, the glamorous and world-famous Biltmore Hotel of Coral Gables will be offering a classy but casual approach to Halloween celebration. From 7:00 pm to 10:00 pm, its Cascade Restaurant will host Cigars Under the Stars, in which its outdoor pool bar will be transformed in a Latin-themed festivity complete with live music, drink specials, and hand-rolled cigars. These are just some of the great events to look forward to this Halloween. The ample array of opportunities for recreation and leisure in any given week is precisely why The Zeder Team is passionate about Miami and Coral Gables Real Estate. If you’re looking for a great standard of living, turn to the leading real estate specialists to help you find the best properties in the area. Contact The Zeder Team today.